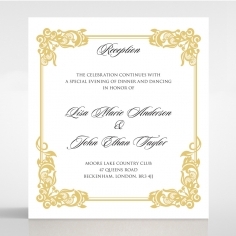 How endearing is this classically elegant and beautifully timeless wedding invitation? 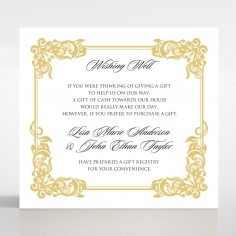 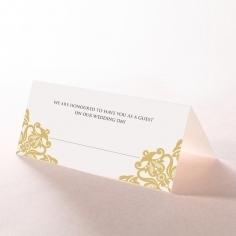 The first layer presents your guests with a flawless damask pearl paper and the inner pocketfold shines the brightest in a glimmering gold wrap. 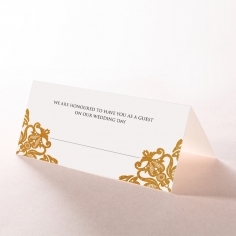 All the beautiful details truly come together for a surprise reveal, creating a sophisticated impact. 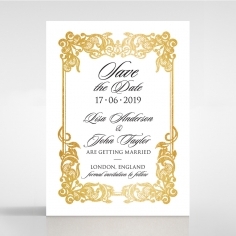 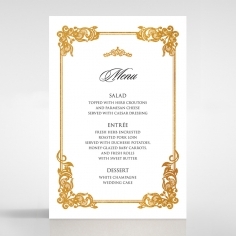 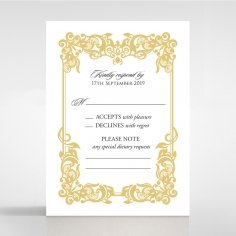 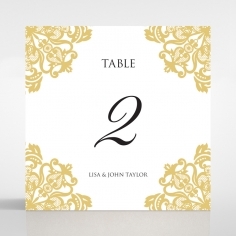 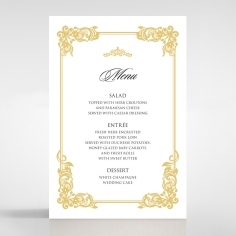 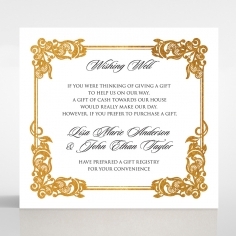 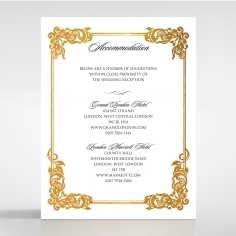 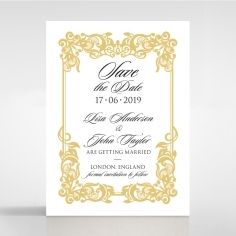 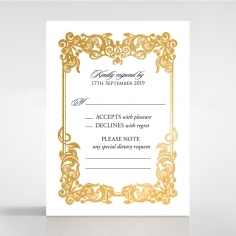 The luxurious inner card comes fully customisable with your wording and font style with luxurious gold foiled and royal themed borders. 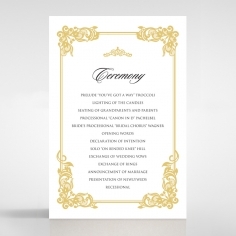 It also comes with a crisp pearlized envelope in a gleaming silver shade for its inner lining. 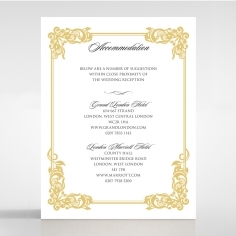 Perfect for couples looking to achieve understated opulence in celebration of this grand affair. 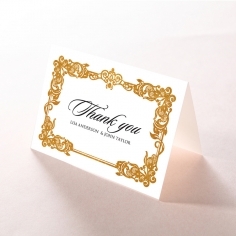 I received the sample and loved it. 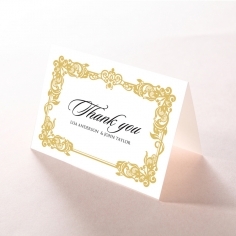 It made from quality material and looks elegant and beautiful. 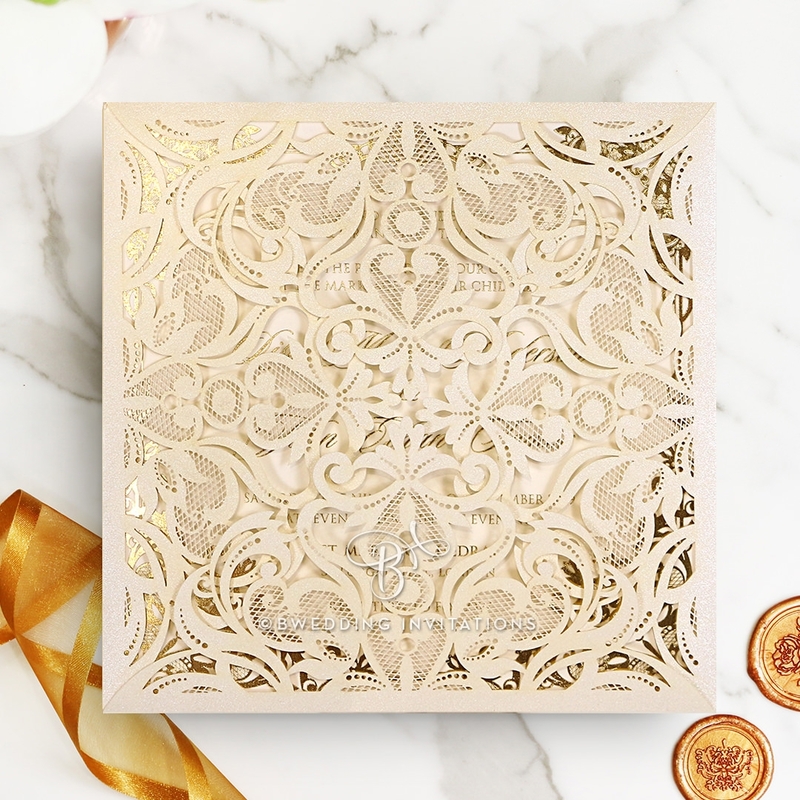 The color and cut looks perfect and clean, the material is sturdy and the foil is so pretty. 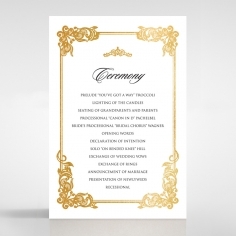 I am ordering it for my wedding invitations but I am changing the color to be like my theme. 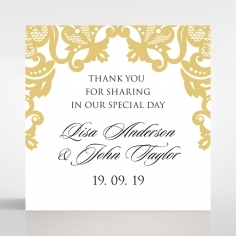 So far is good and even the envelope is well made and the pearly color inside makes it a little more special. 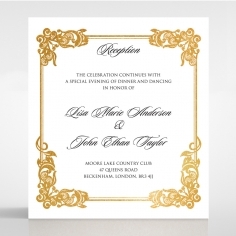 If you are looking for laser cut invitations this is the one to go for.